Senate Republicans on Thursday released a draft bill that would repeal many provisions of the Patient Protection and Affordable Care Act (PPACA), P.L. 111-148. The Senate bill, called the Better Care Reconciliation Act of 2017, differs in many respects from the House-passed American Health Care Act, H.R. 1628, but like the House bill, it would repeal many of the tax provisions enacted by PPACA. The text of the bill released on Thursday is labeled a “discussion draft,” and the text of the bill the Senate eventually votes on may differ. Also, because the Senate and House health care bills are different, either the House would have to vote on the Senate version, or the chambers would have to hold a conference to reconcile the differences. The bill would eliminate the limitation on recapture of excess advance payments of Sec. 36B premium tax credits after 2017. It would limit eligibility for the premium tax credit to taxpayers whose income does not exceed 350% of the federal poverty line (instead of the current 400%) and modify how the credit works, effective for tax years after 2019. It would repeal the Sec. 45R small business health insurance tax credit after 2019. It would eliminate the Sec. 5000A individual health insurance mandate by reducing the penalty to zero, effective retroactively to Jan. 1, 2016. It would reduce the Sec. 4980H penalty under the employer mandate to zero, effective retroactively to Jan. 1, 2016. It would temporarily repeal the Sec. 4980I “Cadillac” excise tax on certain high-cost employer-sponsored health insurance plans and health plan benefits after 2019. (Its effective date was previously delayed until 2020.) However, after 2025, the tax would come back into effect. It would eliminate the prohibition on using health savings accounts (HSA), Archer Medical Savings Accounts (MSAs), health flexible spending arrangements (FSAs), and health reimbursement arrangements to pay for over-the-counter medicines. The amount of the penalty on distributions from HSAs and Archer MSAs that are not used for qualified medical expenses would be reduced. The Sec. 125(i) limitation on contributions to health FSAs would be repealed for tax years beginning after Dec. 31, 2017. The annual fee imposed on pharmaceutical manufacturers and importers under PPACA Section 9008 would no longer be imposed after 2017. The Sec. 4191 medical device excise tax would be repealed, effective for sales after Dec. 31, 2017. The annual fee imposed on health insurance providers under PPACA Section 9010 would no longer be imposed after 2017. The bill would repeal the Sec. 139A elimination of a deduction for expenses allocable to a Medicare Part D subsidy. The income threshold for itemizing medical expense deductions under Sec. 213 would revert to 7.5% from its current 10%, effective for tax years beginning after Dec. 31, 2016. The 0.9% Medicaid surtax under Sec. 3101 would be repealed, effective for remuneration received after Dec. 31, 2022. The 10% excise tax on indoor tanning services would be repealed, effective Oct. 1, 2017. The 3.8% net investment income tax would be repealed for tax years beginning after Dec. 31, 2016. The Sec. 162(m)(6) $500,000 federal income tax deduction limitation for compensation paid by a covered health insurance provider would not apply to tax years beginning after Dec. 31, 2016. 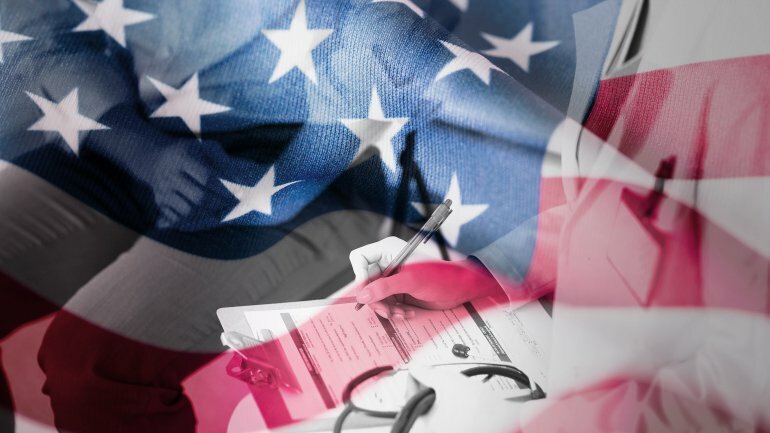 The bill would increase the HSA contribution limit to equal the amount of the deductible and out-of-pocket limitations for high-deductible health plans (HDHPs). Married taxpayers would both be allowed to make catch-up contributions to the same HSA. An HSA established within 60 days of the start of coverage under an HDHP plan would be treated as having been established on the date coverage under the health plan begins, allowing medical expenses incurred before the establishment of the HSA to be treated as qualified medical expenses. —Alistair Nevius ([email protected]) is the JofA’s editor-in-chief, tax.